The Saint John Jeux Canada Games Foundation was established in 1986 after the conclusion of the 1985 Canada Summer Games in Saint John. 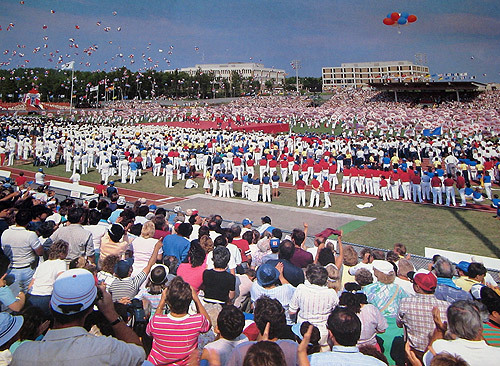 This event was deemed to be one of the most successful Canada Games ever and resulted in an operating surplus. The City of Saint John and the Saint John 1985 Canada Summer Games Society Inc. chose to create this foundation as a Canadian Amateur Athletic Association (A Charitable Organization) which would receive the surplus funds for the general benefit and development of amateur athletics in Canada. The objective of the Saint John Jeux Canada Games Foundation, Inc. is to assist in the development of amateur sport by making financial contributions to athletes, coaches, sport organizations, and educational institutions to assist them in the pursuit of excellence in sport, so that Canada, and New Brunswick in particular, will be well represented at the national and international level. Special emphasis will be given to developing the sports of the Canada Summer and Winter Games.